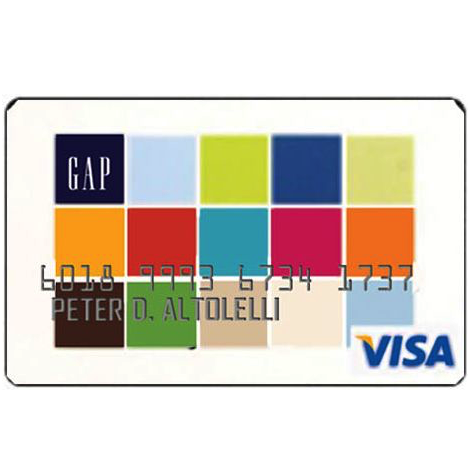 Earn 5 reward points for every $1 spent at the Gap and $5 for every 500 points earned in a calendar year. Visa holders get an additional 1 point/$1 spent on any regular purchase. The 1st Tuesday of each month are 10% off, receipts are not necessary for returns, and cardholders will be privy to special rewards days or member-only deals. Earners of over 5,000 points in a calendar year will be deemed Silver status and will have a slew of additional benefits. 15% saved on the first purchase made with the credit card. This card APR is the most high I ever seen, this card is a hole in your pocket. DO NOT do it. or if you have it already try to get rid of it ASAP. GAP Synchrony Bank is a terrible company. I did love getting free clothes from earning the points, but that is the ONLY good thing about this card. My card was canceled TWICE for innocent mistakes that I made. My first card was canceled because my payment was one day late. When I called and talked to customer service, they are not empathetic or forgiving. Normally, companies will reopen your account after you speak with them. GAP gives you no remorse. I applied for a second card. This card was cancelled because they said I had two canceled checks on my account. I don't know what the first check was. The second one happened when I initiated a balance transfer. I did not receive the check in the mail, so I called the card company and asked for the check to be canceled and resent. I TOLD GAP this, that I canceled the check and they still said that wasn't a good enough reason and canceled my card. I had rewards built up from purchases that I am unable to use again. I have never dealt with a customer service that immediately cancels your card, even when you explain your situation. I was excited to get this card and I used it for the first few months, but it was a bit difficult to ever see an updated balance. I pulled back from using it for a little bit and they dropped my credit limit so significantly without notifying me, now I don't want to really use it at all. A little frustrating.